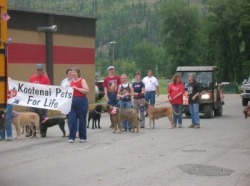 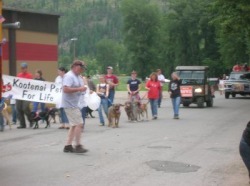 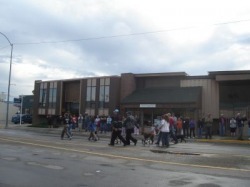 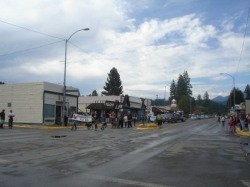 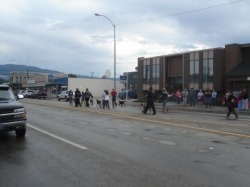 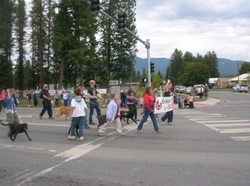 This year KPFL had a 'float' in the Libby Logger Days Parade (June 26th 2010). 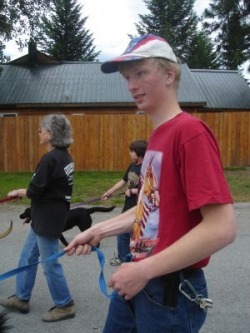 Chris was requested to be one of the dog walkers in the parade. 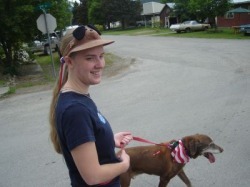 The 4th of July (Independence Day) Parade in Troy was great!!! 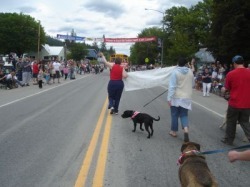 Every year for over a hundred years Troy has hosted their "Old Fashioned 4th of July" celebration, over 6,000 people have come for the festivities. 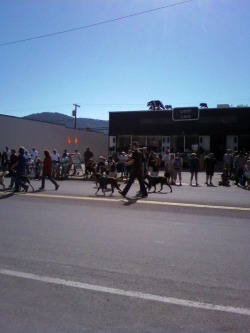 All the KPFL dogs got to be in the parade this year, being walked by people of all ages. 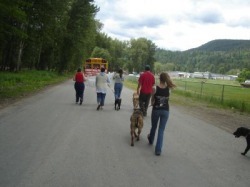 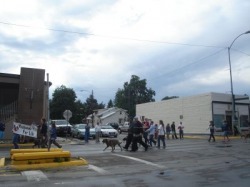 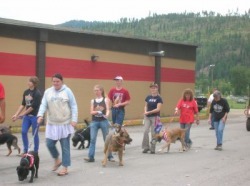 The dogs enjoyed and the handlers had a lot of fun as well. 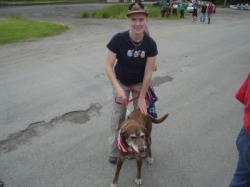 After the last parade Chris was asked if I(Jasmine) would like to be in the next parade......needless to say he said yes.... 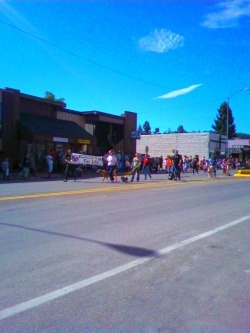 It was my first parade and was a wonderful experience. 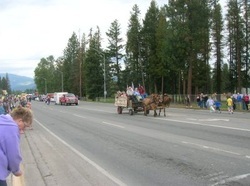 The parade route was around a mile long, they actually cordoned off Hwy 2(which is also the main street through Troy) and the street was crowded on both sides . 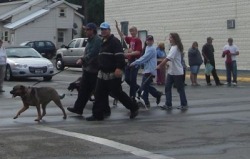 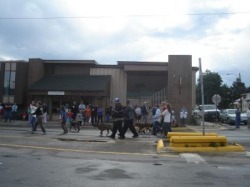 The crowd really enjoyed seeing the dogs and more than one person asked about some of the individual pets. 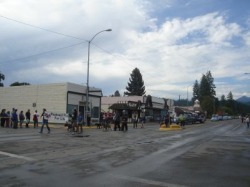 Downtown Troy and Hwy 2. 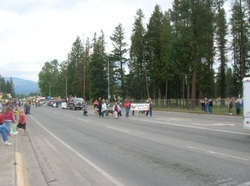 Marching in the Kootenai River Rodeo parade (July 30th 2010) came as something of a last minute surprise. 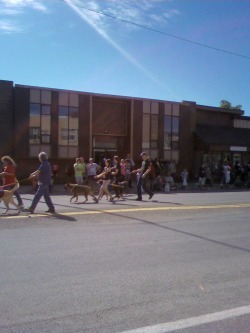 Chris was in the parade and I (Jasmine) took pictures. 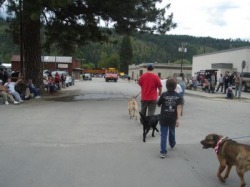 The parade wasn't very long but it was a lot of fun and the dogs seemed to enjoy it. 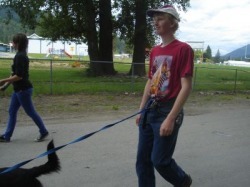 In case you didn't guess Chris is the one in the red t-shirt (it has Roy Rogers and Trigger on it). 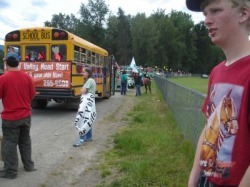 we are behind the red pickup with the white trailer.